At this time of year it should be compulsory for everyone to visit the Huon Valley. The fields are still green, there’s a touch of snow on at least one of the mountains and all the apple blossom is out. Now there’s another reason to visit for Tasmanians at least. 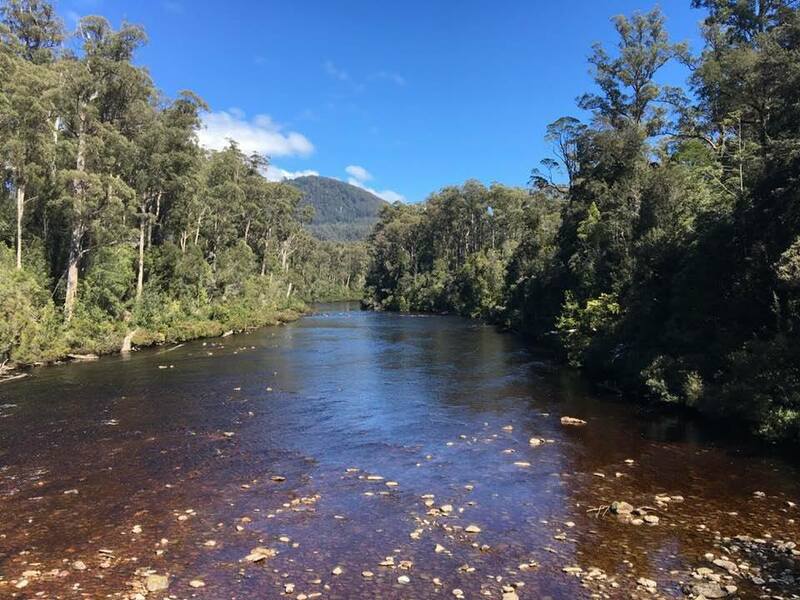 Tahune Forest Adventures is offering Tasmanian residents a free forest adventure pass for 18 months if they apply before December 31. Being the last official day of school holidays, we thought we should go before the operators changed their minds. Soon the five of us – representing three generations, were heading off in the direction of the Airwalk. This is an engineering wonder which affords excellent views over the Huon River, the Picton River and the Hartz mountains. It also allows you to get up close and personal with rainforest species such as sassafras, myrtle, celery top and leatherwoods, as well as some tall stringy barks. For those not familiar with temperate rainforest, it’s an excellent introduction, and even for those who are, it offers a whole new perspective. And if, like one of the friends with whom I walked a few days ago, you prefer your wilderness a little less wild and with all amenities, then this place for you. Huon River - Cymbaline's Phone pic. Tasmanian or not, you still have to pay for the accommodation and other activities such as Eagle Gliding or rafting, neither of which we attempted today, though we did enjoy the Swinging Bridges Walk which was a big hit with the girls who seemed a teensy bit apprehensive on some parts of the treetop walk. Then, after having afternoon tea in Geeveston, were lucky enough to spot a platypus or two on the Platypus Walk along the Kermandie River. Bees buzzed in the blossom and daisies, bluebells and perwinkles flourished at the margins. Of course, no visit to the Huon would be complete without buying at least one bag of apples from the many honesty boxes on the way home. Just as we stopped to do so, a square rigged wooden boat sailed by - just as it would have in days gone by -a fitting finish to a lovely day.